Give your single rear wheel truck a bold, intimidating look with American Force’s direct bolt-on Burnout SS8 Super Single Series. 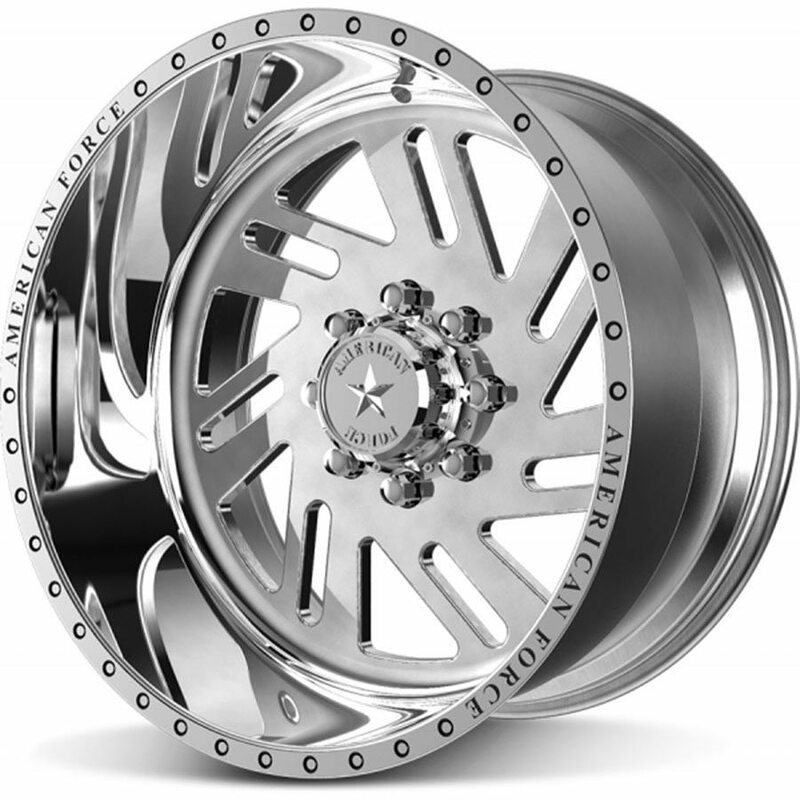 These custom built to order forged wheels are made of T-6061 aluminum with aggressive offsets, back spacing design cues and massive lips (up to 8.6″) that complement the meanest lifted trucks on the road. The Super Single Series are offered in several bolt patterns(4 lug, 5 lug, 6 lug, 8 lug) to fit not just your truck but also Jeeps, SUV’s, and UTV’s.